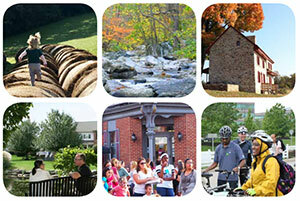 We invite you to check out our new video that highlights Landscapes3, Chester County’s newly adopted comprehensive plan that provides a template for growth and preservation for the next 10 years. The video, which is under five minutes and full of scenes of Chester County’s special places, shares the message of Landscapes3. Landscapes3 is available online as a PDF or via a webpage. View the plan’s executive summary. We are moving forward on implementation and encourage municipalities and partner organizations to join us in these efforts. In addition to implementing Landscapes3 with projects related to the six goal areas, we will be working to implement growth and preservation strategies associated with the Landscapes Map. Learn more about how we wrapped up Landscapes3 last year and what’s in store for 2019. View more information about 2019 Landscapes3 initiatives.